As we’ve discussed in earlier posts, information—and the rules and regulations around using it—is changing the way research institutions, government agencies, development organizations, multilateral organizations and their implementing agencies operate. Just as in for-profit sectors, this information revolution is providing social enterprises with opportunities to reach farther and do more through data collection and visualization technologies. Another area driving change in their operations is the rapid growth in machine learning and artificial intelligence (AI) — thinking machines capable of behaving, and sometimes learning, like humans. As AI technology moves from science fiction into reality, there is global debate about just how it can and should be used ethically. For our community, AI has the potential to unlock new capabilities, processes, and even cost savings. 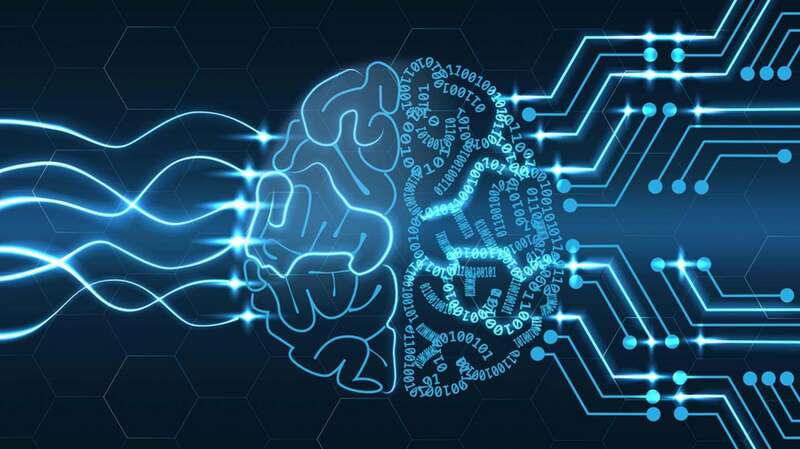 But effective use of AI to achieve the United Nations’ Sustainable Development Goals (SDGs) will require an approach that brings together those in government and U.N. agencies, industry, civil society, international organizations, and academia. According to Eric Horvitz (Microsoft Research), “AI is not really any single thing – it is a set of rich sub-disciplines and methods, vision, perception, speech and dialogue, decisions and planning, robotics and so on. We have to consider all these different disciplines and methods in seeking true solutions in delivering value to human beings and organizations”. First, a definition…what is AI? ANI (Artificial Narrow Intelligence) can only operate in one sphere. For example: AI that can beat the world-champion chess players—but that’s the only thing it does. AGI (Artificial General Intelligence) reaches and passes the intelligence level of a human. It can reason, plan, solve problems, think abstractly, comprehend complex ideas, learn quickly, and even learn from experience. ASI (Artificial Super Intelligence) is significantly smarter than the best human brain in nearly every way—including creativity, general wisdom and the ability to develop social skills. For the most part, we’ve mastered ANI—and it’s everywhere. It’s running the ABS systems in cars, optimizing consumer shopping experiences, properly distributing fresh water and electricity where it is most needed, distinguishing between naturally occurring seismic events and nuclear tests, analyzing cancer diagnostics more accurately, translating the nuance in global languages, and even self-driving cars and drones. Given AGI and ASI are still not a reality, the question is, when will ANI become useful to these organizations? And the answers is—now. Here are a few examples. Since the day Ford’s Model T rolled off the assembly line, Americans have had a love affair with cars, and the personal status symbol they define. A century later, artificial intelligence was used to correlate those symbols with our political views. In 200 of the most populated cities in America, deep learning from 50 million Google Streetview images was used recognize and identify cars (make and model for 2657 types of cars manufactured after 1990). From that data, Prof. Fei-Fei Li (Google & Stanford University) observed that car models are correlated with GDP, average income, socio-economic indicators and voting patterns. To account for population density, and its impact on car ownership levels…and the size and models of vehicles that can find the limited parking spaces in cities… other algorithm were applied to also improve analysis of traffic congestions and carbon monoxide levels. Taken more broadly, this technique could be used to continuously supplement demographic surveys, while reducing costs. According to the United Nations, Nigeria has too few doctors to meet the medical needs of the nation. Plans are in place to increase the number of physicians by 2030, but the cost is proving prohibitive. When factoring the size of the population and its current growth, it is likely several generation before there are enough doctors. To meet the World Health Organization’s standard, Nigeria needs no fewer than 237,000 medical doctors. Currently Nigeria only has 35,000. To bridge this gap, health officials are looking to AI as a way to deliver medical care in the absence of an adequate number of physicians. By tapping into AI-assisted diagnoses capabilities demonstrated by thinking machines like IBM’s Watson, community health workers and volunteers with minimal training can safely and effectively deliver medical services to communities that would otherwise be left without care. For countries like Nigeria, this approach represents a dramatic shift in thinking. While agriculture is not generally thought of as a forward-looking industry, and frequently ranks near the bottom of digitization surveys, things are changing — and AI is helping to make that change happen, with some help from some major tech players. With a commitment of $100 million, IBM’s Project Lucy is targeting African infrastructure. The tech giant is leveraging Watson and other technologies to develop commercially viable solutions to Africa’s biggest challenges in healthcare, education, water and sanitation, human mobility — and agriculture. With 60% of the world’s uncultivated arable land, both the challenge and opportunity is immense in this region. Watson’s AI has already been used to help farmers improve crop yields with less water and improved soil quality. In another example, Planet Lab is using satellite imagery to monitor planting and other agricultural indicators in Kenya, floods event in Sri Lanka, and impacts of population growth throughout the region. Planet data serves as the foundation of daily field monitoring, in-field analytics, and predictive modeling that detect of pest and weed pressure, identify drainage issues, assess hail damage, understand herbicide injuries, spot nutrient deficiencies, run yield predictions, and more. For those engaged in monitoring and evaluation, the rapid growth of AI is extremely promising. Innovations in data collection will likely take the form of advances in natural language processing, object differentiation, and comparative facial recognition. This application is capable of interoperating text responses rapidly, even matching them against existing data sets. Think of a system that can comb through thousands of spreadsheets rapidly and without error and identify trends. While there are some limitations it capabilities — primarily due to language and complexity issues — these technologies are deployed and are helping organizations wade through large data sets. While it might not seem like a big deal, telling things apart is a very important task that is often overlooked—sorting. This technology can be extremely valuable for relief organizations working in the field, especially in place where language barrier may be encountered. This identification and sorting technology can be deployed to track supplies and other resources quickly and effectively. Mobile technology allows staff in the field to snap photos of items where the AI will take over identifying, sorting, listing, and reporting. Pared with the proliferation of mobile devices, this technology could be truly transformative—allowing organizations to not only identify individuals, but also to track specific characters. This can be used to track attendance at relief sights, meetings, and other gatherings and provide insights into behaviors. Like most technologies, AI is moving fast and evolving in ways that are both expected and unexpected. While experts are making their predictions, no one is 100 percent certain what the future will hold, or how that future will intersect with the development sector. Considering the advancement so far, it is not surprising that areas seen with the greatest potential for convergence are centered on health, food security and nutrition, and disaster relief and response. As we mentioned earlier, AI is helping to deliver better medical care to underserved regions. This trend will continue—especially as more and better data becomes available on developing counties. In-line with providing better medical care, AI is also poised to increase both agriculturally efficiency and food delivery through better identification of food security hotspots. AI already assists small-scale farmers collect data on rainfall and soil acidity levels, etc. to inform decision on what and where to plant. Some even speculate that Zero Hunger is attainable by 2030, and that AI will be an essential tool for reaching that goal. Political instability and natural disasters constantly present significant challenges for relief organizations, but AI and other machines learning technologies are already being used to aid the delivery of relief services in the future. Organizations like UNICEF are partnering with technology providers including Google to create mobility matrices capable of mapping movements of people. AI’s predictive capabilities could make it possible to anticipate movement, making it easier to deliver relief resources—food, nutritional supplements, medical care, provisions—where they are needed, when they are needed. AI may assist a doctor’s diagnosis, but it should be viewed as a supplement to the face-to-face interaction with the patient regarding their symptoms…potentially missed by the data. Alternately, satellite imagery offers accurate, inexpensive and scalable techniques to capture data for programs that hope to address agricultural, poverty and disaster relief needs, but if the data isn’t used solely in aggregate or residents’ information made anonymous, risks exist. Consumer product marketers have utilized tools to monitor our sentiments on social media and other information tracked by our mobile phones for years, but our community and other industrial stakeholders must assess the technologies’ real-world changes produced with transparency, ethics and accountability. Be sure to watch for watch for future blog posts on this topic as it applies our future development of data quality features in SurveyCTO. Next PostGDPR is here. And you need to be ready. Did you miss Dobility’s first training in India? Sign up for the second training in Ahmedabad today! Join us for a SurveyCTO training March 6th to 8th in Ahmedabad, India! I have never programmed anything before in my life and I managed in less than two weeks to programme our entire baseline survey! I actually convinced another colleague of mine to do it himself as it is much easier changing and polishing the survey while you programme it than to do it after someone else has programmed it for you. He emailed me this Friday explaining how excited he was that it was working out very well for him too. Using SurveyCTO for a household survey in Ghana and love how easy it is to use and that we can edit our survey in Excel. The quality of data we are receiving is remarkable and requires minimal cleaning. The support staff are also excellent! Emily Stammer, John Snow, Inc.
One of the pieces that jumped out at me at first was the idea that there is this auditing capability. This is a group that has actually thought about some of the practical things that researchers will need in the field. Many thanks again for your amazing support you provided our team over the last few weeks. I can't tell you how helpful it was and how much everyone appreciated it. 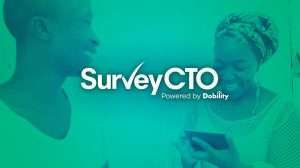 We've been so happy with the services from you and the entire SurveyCTO team.